at the British Film Institute, Southbank. 1 January – 27 February. Yasujiro Ozu: The finest Japanese director of all time? Celebrating Japanese filmmaker Yasujiro Ozu, the BFI will release two of the Japanese master’s greatest films, Tokyo Story and Late Autumn, in cinemas nationwide. 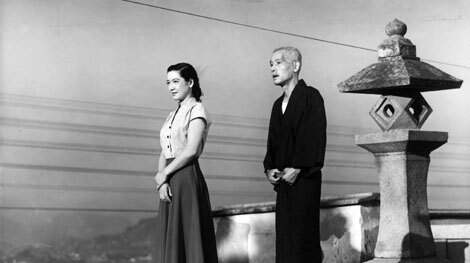 Ozu’s Tokyo Story opens in cinemas nationwide on 1 January 2010. The BFI Southbank will be presenting a comprehensive retrospective of Yasujiro Ozu’s films together with a number of more recent films in which his influence is discerned. Japan Centre Online is also offering the chance for two lucky customers to win a pair of tickets to a film of your choice on a day of your choice! All you have to do is enter ‘Ozu Competition’ in the comments section when placing an order online and you will be automatically entered into our Prize Draw! Good luck! Closing date 22nd January 2010. I need help locating and purchasing a Japanese film made and released in 1973 or 1974. It was about models and the star of the film was an occidential actress that had been in a James Bond film as a supporting role only. Models from Japanese modeling agency Eddie Arab Modeling Studio also appear in the film. It had two directors one French and the other Japanese. I would be most grateful in any assistance you can provide.